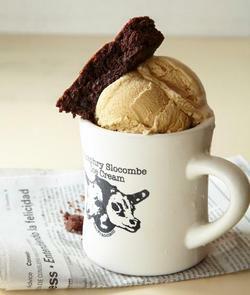 The Vietnamese coffee ice cream at Humphry Slocombe. Photo © FrankenyImages.com. According to some ABC license activity, the folks behind ~THE SYCAMORE~ in the Mission are taking over the former Mercury Lounge in SoMa and opening ~THE WILLOWS~. Bonus: they will have full liquor. Stand by for more details once I hear back from the owners. 1582 Folsom St. at 12th St. The gents of ~HUMPHRY SLOCOMBE~ are opening their second location in the Ciao Bella space inside the ~FERRY BUILDING~. Scoop mentions they won’t be able to get access to the space until October, so stand by for timing updates later this year.